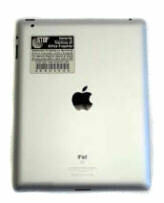 A cost-effective way to protect iPads is to use security plates that provide a reliable, affordable recovery service. 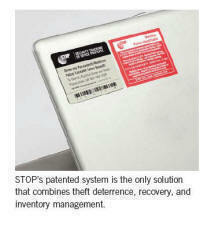 For many years, Datamation Systems has recommended our customers use the STOP security tracking system that combines a patented ID plate with a registration and recovery service. 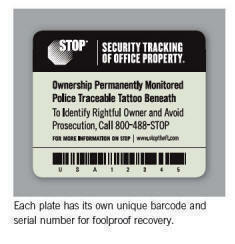 These plates not only deter theft but they allow organizations to provide inventory tracking. STOP plates have a unique bar code and serial number and a toll-free number to report items that have been found. They also have a patented “tatoo” that embeds a permanent warning on your iPads so they cannot be re-sold if they are lost or stolen. 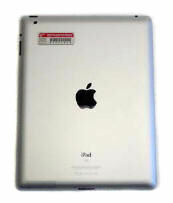 If someone finds your iPad, they call the monitoring service and STOP makes arrangements for its return or recovery. A number of customers have told us they are protecting iPads with these simple, affordable asset tags (and the service they provide).